The seller of today'sNice Price or Crack Pipe Ferrari 328 GTS claims that serious illness forces the sale. That's unfortunate for him, but perhaps a good thing for the eventual buyer, that is if the asking price doesn't make them sick. A common adage among the 1% is that he who dies with the most toys wins. Hopefully the seller of today's 1987 328 GTS is not in the final stretch of that race, despite his admission of having an illness of sufficient gravity that he is unburdening himself of major possessions. Either that, or he's a scam artist. The 328 GTS is considered by Ferrari aficionados to be one of the most rock solid cars ever to wear the Prancing Horse badge. The last of the series which first debuted in 1976 as the 308, the cars represent a decade-plus of refinement to the mid-engine V8 platform. The later cars differ from the earlier ones in minor ways - the front and rear valances and bumpers being inset and body color rather than black rubber; the louvers behind the headlamps omitted; and the door handles moving from the window edge to small paddles above the scoop which intrudes into the door. Open that door and you'll find an interior that's more 288GTO than 308GTS, and in the case of this black over biscuit beauty, it all looks to be in pretty nice shape with no obvious wear and tear to the leather, and the holy grail of stick shifters, a gated chrome strippers pole between the seats. Momma mia! Under the louvered hood, the 328 goes big or goes home in regard to its predecessors, sporting a 3,185-cc edition of the all-alloy V8 which, aside from the boost in displacement, continues to carry the quattrovalve breathing apparatus and set-it-and-forget-it Bosh K-Jetronic fuel injection. That's all good for what Enzo said was 270-bhp, and as we all know, one does not argue with Enzo. Brakes on the '87 are standard assisted, ABS not being introduced as an option until the next year. That upgrade also brought a substantial change in the suspension geometry, allowing for more negative camber, and a change from concave to convex five-star alloy wheels. This car sports the earlier wheels, which are far better looking, IMHO. One of the most attractive aspects of the 328 is that while it is one of the more modern cars from Ferrari, it's also about the last that could be considered maintainable by your basic shade tree mechanic. Most of the major engine maintenance - such as the every 5-years or 15,000 miles timing belt replacement - can be carried out with the engine in the car. In addition, the 328 is fully galvanized making rust less of an issue than on earlier cars, and obviously all the parts sourced from Fiat are just that much newer, which can only be a good thing. This car is described as a driver, and the seller says it has over 75,000 kilometers on its Canadian clock. That's like 46K American where we think base-ten is the tool of the devil. The ad also claims the car to be mechanically SOLID! and without significant body boogers aside from a small dent below the license plate mount. Other detriments noted in the ad are headlights that are stuck in the up position - the one you'd want them in should they become recalcitrant - and an antenna that apparently won't go both ways. The seller says that these cars develop electrical gremlins over time, and as an effort to head them off, has installed a new fuse block and a fire suppression system in the engine bay in case they are unsuccessful. Ferrari built over 20,000 of the 308/328 cars, making the series one the most plentiful of all to be fitted with the Prancing Horse - over 6,000 of that being the 328 GTS alone. But that ubiquity doesn't dull the ardor the cars imbue, and hence they remain extremely desirable. The seller of this car claims that it was appraised for $60K, however, as noted, health reasons require its removal from his stable and hence it's going for $27,500. Why half appraised value? Well, a couple of reasons pop up - first is that these cars rarely sell for anywhere near sixty, or two, maybe this guy really isn't sick, he's a scammer. 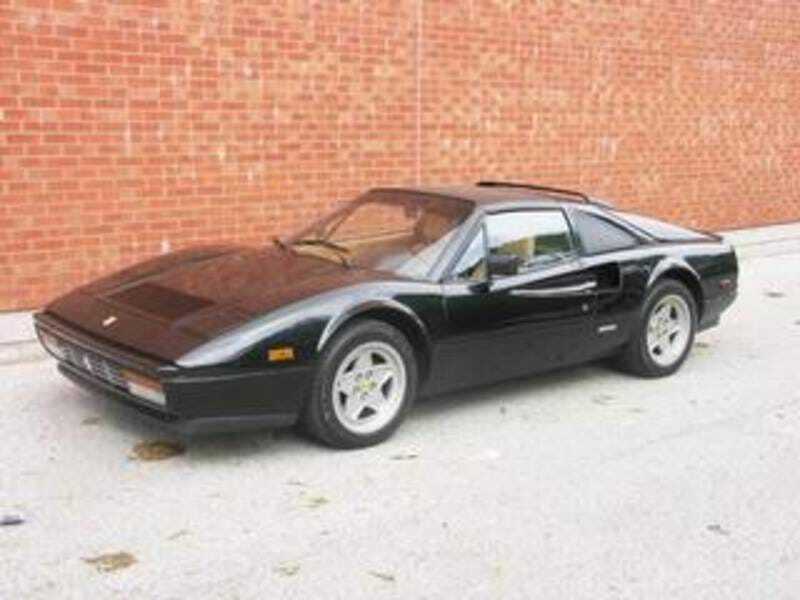 If he's not a scammer, or some sort of Canadian cannibal looking to lure unsuspecting Ferrari buyers in so that he might eat their livers with some Poutine and a nice Kokanee, then what's your take on this 328 GTS's $27,500 price? Is that low enough that someone should join its Canadian Club? Or, for asking that much, is this health-challenged seller a carsick Canadian? Kajagoogoo Ontario or go here if the ad disappears. H/T to David Wilkinson for the hookup, eh!